Wade is retiring at the end of the season. Dwyane Wade has had a legendary NBA career and at the end of the season, he will be calling it quits and retire from the game. 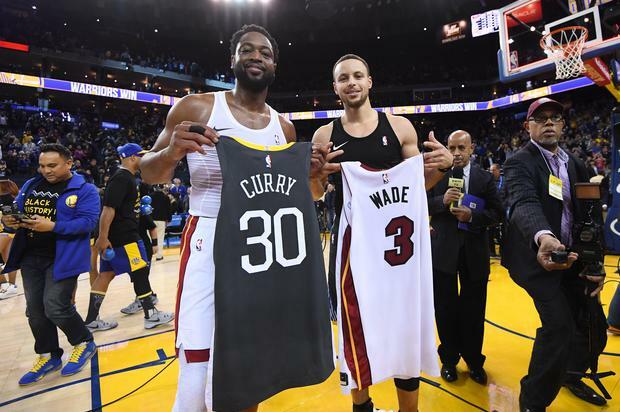 This year has been a farewell tour of sorts for Wade and on Sunday, Steph Curry and the Golden State Warriors got to pay their respects to the future hall of famer. After the Warriors defeated the Heat 120-118, Curry talked about just how good Wade still is at his age. Wade finished the game with 10 points, 9 assists, and 6 rebounds which led Curry to explain what makes Wade such a special player. The Heat are in ninth place in the Eastern Conference with a record of 25-29 but are just a win away from taking over the eighth spot.